The holidays are fast approaching, and as a mom of three, there is no time for me to not be feeling my best. During the winter, I take extra precautions to stay well and try to keep my kids well too. Since we entertain so much, I want to be sure I have everything on hand to deck the halls free of germs and keep us feeling at the top of our game, so I’m not caught empty handed. While running an errand a CVS, I found all of the essentials I needed to deck our halls and thought I would make a fun basket to give to my kids’ teachers too. I thought I would prepare a Deck the Halls Basket for their teachers so they would have everything they need for whatever this winter season brings. 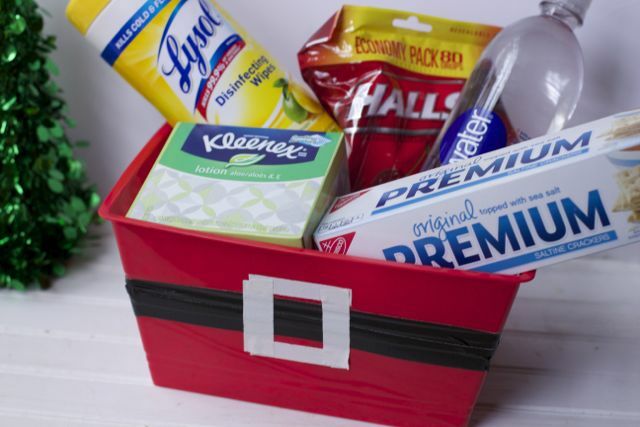 They can keep this fun basket in their classrooms as a friendly reminder on staying well. After thinking of five things that are important to keep in mind over the holidays to feel your best, I purchased items that would help. Eat right, exercise, get enough sleep and stay hydrated. I added a large bottle of Smart Water to remind each teacher to stay hydrated. Disinfect, disinfect, disinfect! Be sure to clean and disinfect frequently used surfaces, such as telephones, countertops, doorknobs and stair rails, to avoid hand-to-hand spread of viruses. Teachers love wipes and Lysol kills 99.9% of bacteria on soft surfaces. Sneeze safely. Preschool teachers always taught my kids to sneeze into their elbows. Having an extra box of Kleenex on hand will remind everyone that if you have to sneeze or if you have a runny nose, find a tissue not your hand. 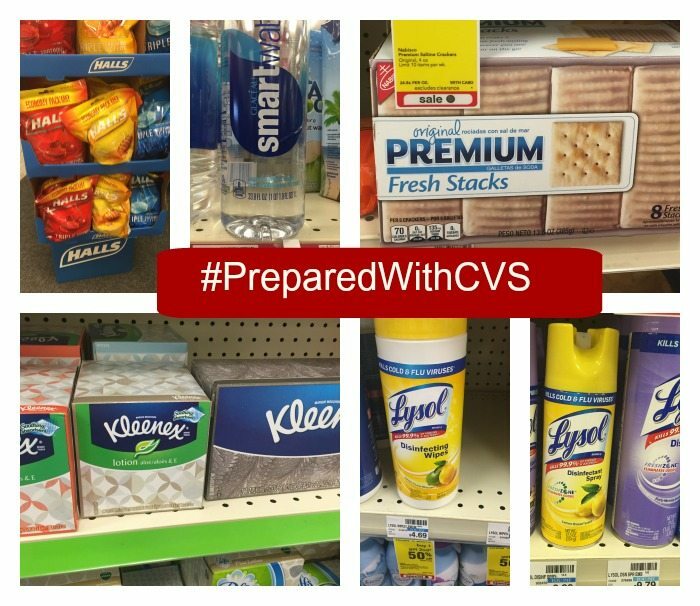 Be prepared: Have standby items like Premium Saltine Crackers on hand just in case you stomach gets upset with too many holiday foods. Soothe your itchy throat by popping a Halls into your mouth. For those in professions who have to talk a lot (particularly when they have to talk loudly…as teachers do), cough drops can be great for keeping your voice in top shape. We use them religiously as a way to preserve our voice when at camp. Just another tip! We found an inexpensive, red bucket and adorned it to look like Santa’s Belly. 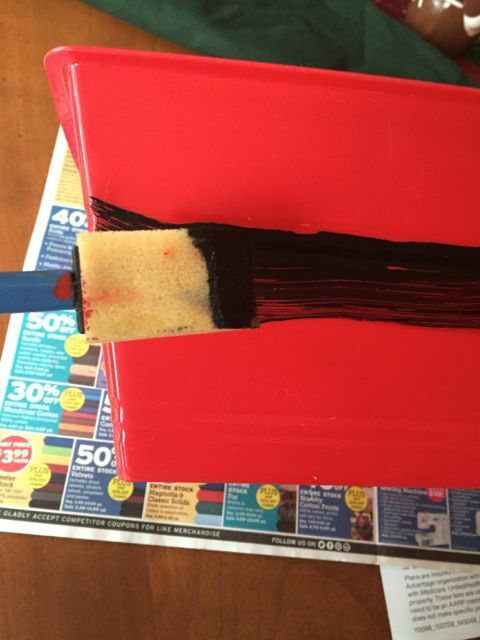 We first tried to paint Santa’s belt, but this plastic was not cooperating. Instead we used black and white duct tape. 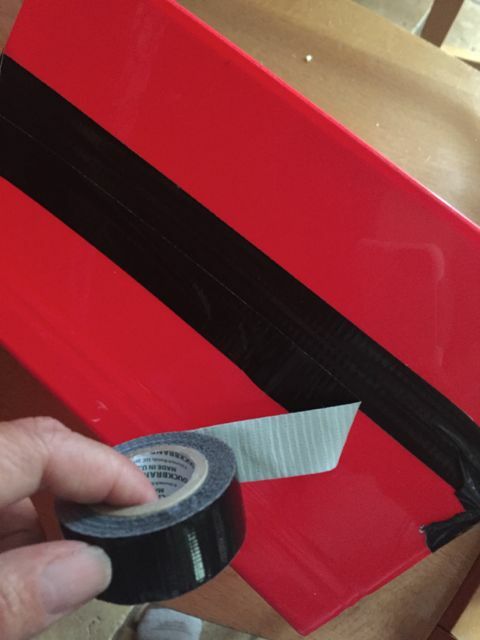 First, place your black tape around the bucket. 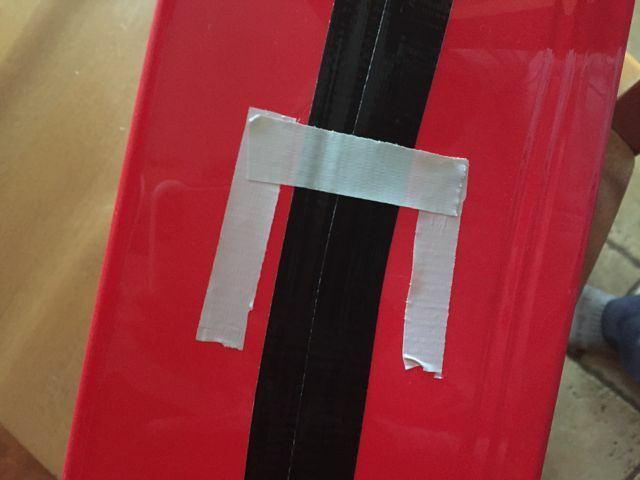 Then, cut smaller strips of the white tape to create the buckle. 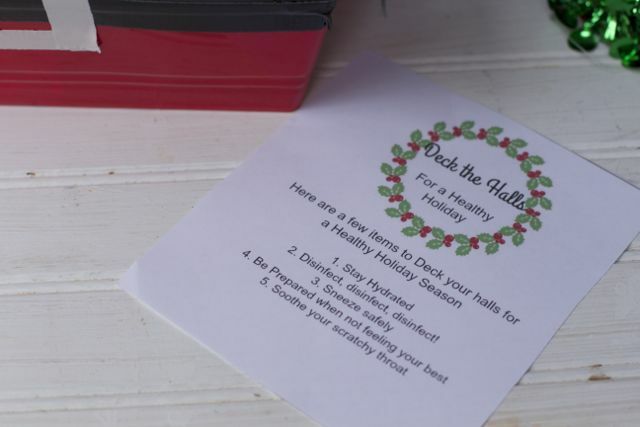 Grab this free Gift Tag Printable to include in your Deck the Halls Basket if you are giving it to a friend. CVS has great deals on these essential holiday items. Starting Sunday 11/15 through the end of the week, if you spend $15 at your local CVS store, you will receive $5 in ExtraBucks! Buy enough for all the teachers in your kids’ lives. 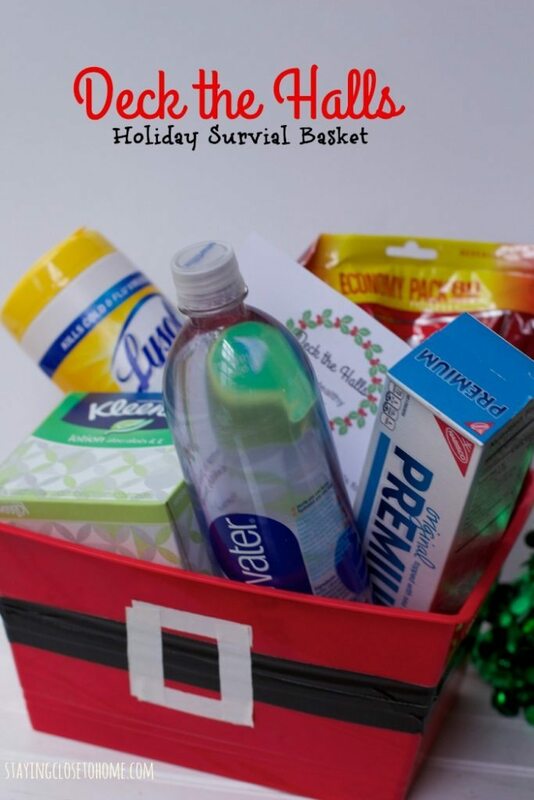 What items would you add to this holiday survival basket for yourself or for a teacher gift? The santa bucket came out really cute! I think my daughter’s pre-k teacher would appreciate something like this! I would probably add a few extra boxes of tissues and a gift card so that she could use it on whatever she needs. What an adorable idea. I love how you made that basket so festive. Great ideas for the teacher. Maybe I would add some type of spread to go on those crackers. 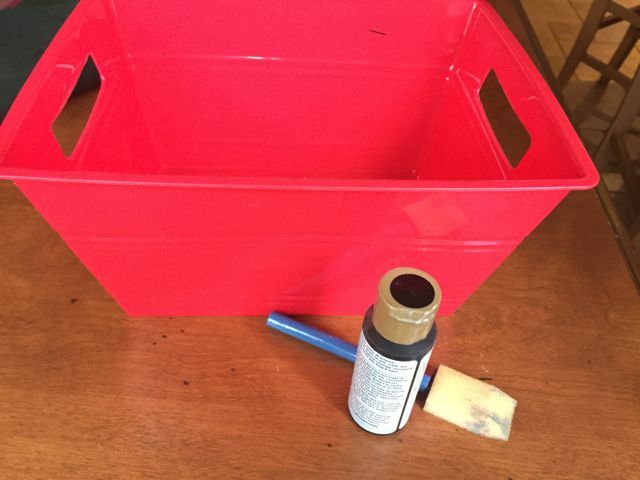 These are really affordable things anyone can do for a teacher’s gift. that is a great suggestion!! You did a great job decorating the box. I love it! The only thing I’d add is a bottle of vitamin c because we go through that like crazy during the winter months. I love the Santa idea! How fun and simple! Great ideas and affordable too! This is an adorable idea for teachers and the holidays are coming up! I love how you made the basket look like Santa. They could also use it for storage in their home during Christmas!